Located in the South of France, on the Mediterranean coast, Solliès Toucas is a tranquil seaside village that's ideal for a relaxing holiday in the warm French summer. Visitors can spend their days exploring the narrow winding streets of the town before dining al fresco in one of the street side restaurants. 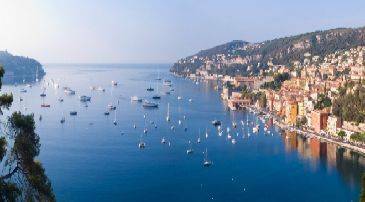 Just 20km away are the beaches of the southern coast of France, while Marseilles, Cannes, Aix en Provence and Nice are all within easy reach by car for those wanting to explore the glamorous towns of this region. Summer France offers relaxing and fully equipped accommodation in the centre of the village, ideal for couples, families and groups of friends. Here guests can enjoy homely cabins in the olive tree forest, with their own private terrace and a fully-equipped kitchen for the perfect self-catered holiday. There are a number of facilities to ensure your stay is as comfortable as possible, including a children's club, a large outdoor swimming pool, a separate children's pool and a wellbeing centre onsite. Holidays in Solliès Toucas focus around good food and leisurely exploring. Its quaint squares are home to restaurants and cafés where guests can dine al fresco and watch the world go by. Stop off in one of the shops selling locally produced artisan products or head to the market for meats, cheeses, seafood and vegetables grown on the local farms and perfect for packing into a picnic. For the ultimate in relaxation during your stay in Solliès Toucas, head to Une Parenthese and indulge with massages and other treatments provided by experts. The main attraction of the small town of Solliès Toucas is its stunning surrounding landscapes. In the nearby area visitors will find mountains and hills, valleys and forests ideal for exploring on foot or by bicycle. There are easy trails for those travelling with the family and younger visitors, while those wanting to challenge themselves and explore further will find steeper ascents through the nearby forests. Cyclists will find plenty of bike hire shops in the area, while the secluded nature of the town means car hire can be useful. The nearest beach is around 20 minutes away by car, with the glittering Mediterranean coast within easy reach. Here visitors will find sandy and pebble beaches, sun loungers, parasols and water sports. Choose from sailing, wind surfing, surfing and even banana boat rides to keep yourselves entertained. Le Mourillon is ideal for those wanting to explore the maritime history of the area, and as a former fishing port it is home to idyllic beaches and little restaurants serving locally caught fresh fish. Toulon has slightly wilder beaches, fringed by rocks and coves, while there are also some safe Blue Flag beaches, with excellent facilities for families. Saint Tropez is just over an hour away from Solliès Toucas and is ideal for those wanting to people watch and immerse themselves in the glamour and glitz of the French Riviera. Rub shoulders with the rich and famous, enjoy pool and beach parties, and harbours filled with super yachts. Wander through this pretty town and make the most of its beautiful architecture and vibrant atmosphere, stopping off in shops and luxury restaurants along the way. Marseille is also just over an hour away and is ideal for a day trip. Here guests will find museums, galleries and historic sights, as well as pretty landscaped gardens, parks and cathedrals. Spend the day by the harbour and take in the atmosphere, watching fishing boats going out in the morning and coming in with their catch in the evenings. Some of the best fish restaurants in France can also be found here, perfect for foodies and wine lovers alike. 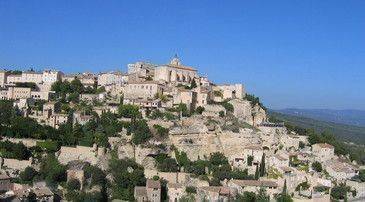 Aix en Provence is the perfect place for day trip, and is just an hour and ten minutes from Solliès Toucas by car. The area is home to vineyards and rolling green countryside, as well as farmland growing delicious local produce served in the local restaurants. Admire the shady courtyards, tree lined streets, pastel coloured buildings and beautiful views at the top. 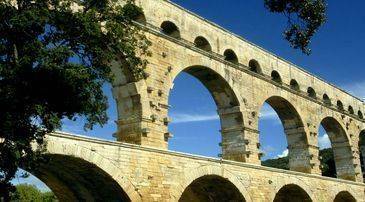 There are plenty of museums to be explored here, as well as art galleries, shops and Aix Cathedral. The south of France is well known for its delicious cuisine from both the sea and the surrounding landscape, and the mixture of both offers a tantalising concoction for visitors to taste. Enjoy mussels, cockles, oysters, prawns and other succulent seafood, mixed with truffles found in the forests of the surrounding area, as well as fresh fruits and vegetables and rich French sauces. The beef in the region is popular, as well as lamb and creamy cheeses. Solliès Toucas is home to four restaurants for visitors to choose from. La Bastide Enchantee serves up traditional French dishes, including steaks, crème brûlée, salads and smooth paté on toast with homemade chutneys. The atmosphere is light and luxury. The Restaurant de la Promenade serves hearty meat dishes and is ideal for families. Bella Pizza is a cosy Italian restaurants where visitors will find pizza and pasta dishes served with little fuss by the friendly staff. For a mixture of fish and meat dishes, as well as pasta, salads and amazing seafood platters choose La Table D'eux. The nightlife in Solliès Toucas is quiet, with no bars or clubs in the town itself. Nearby towns such as Toulon offer more bars and clubs, which stay open late into the night. Summer France Residence La Galoubet offers guests the use of a children's club onsite, for those aged six to 12 years, which runs throughout the summer season. 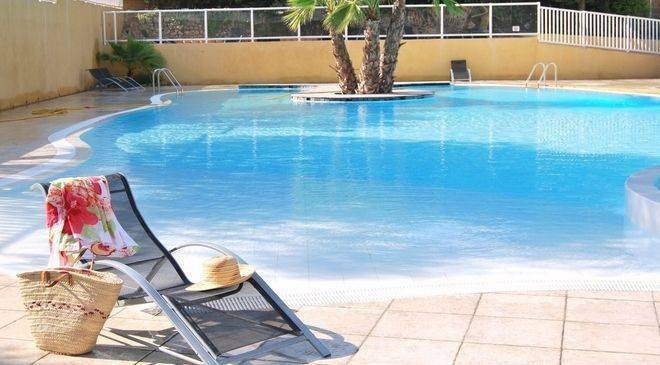 There is also a separate children's swimming pool with shallower water ideal for little ones. Our Residence La Galoubet offers guests the use of parking facilities onsite at no extra charge. The centre of the town is small, with narrow streets, and there is limited parking available in Solliès Toucas.